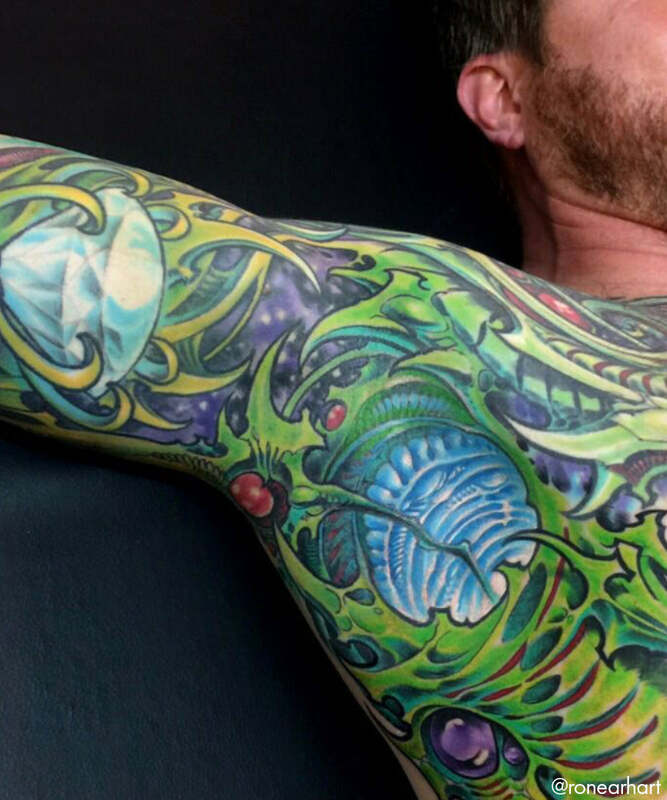 The Newest Trend - Armpit Tattoos - Sullen Art Co.
A new phenomenon has been circulating over Instagram lately: armpit tattoos. 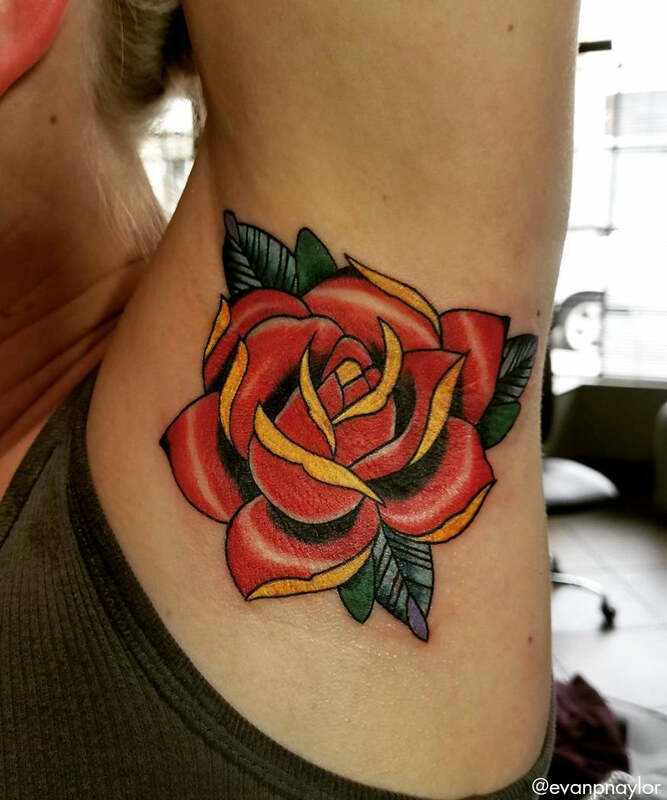 Although not out of the ordinary to have your chest or arm artwork stretch to the armpit, these tattoos are specifically placed with the armpit as the main canvas. 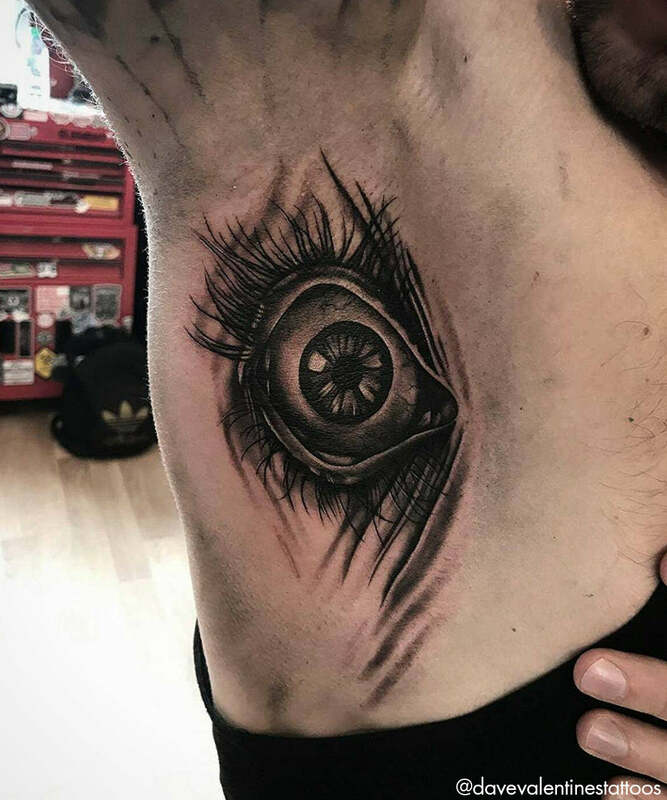 Black & grey/horror eye armpit tattoo. Mandala symbol dotwork armpit tattoo. Biomech armpit tattoo. This one looks like it hurt! 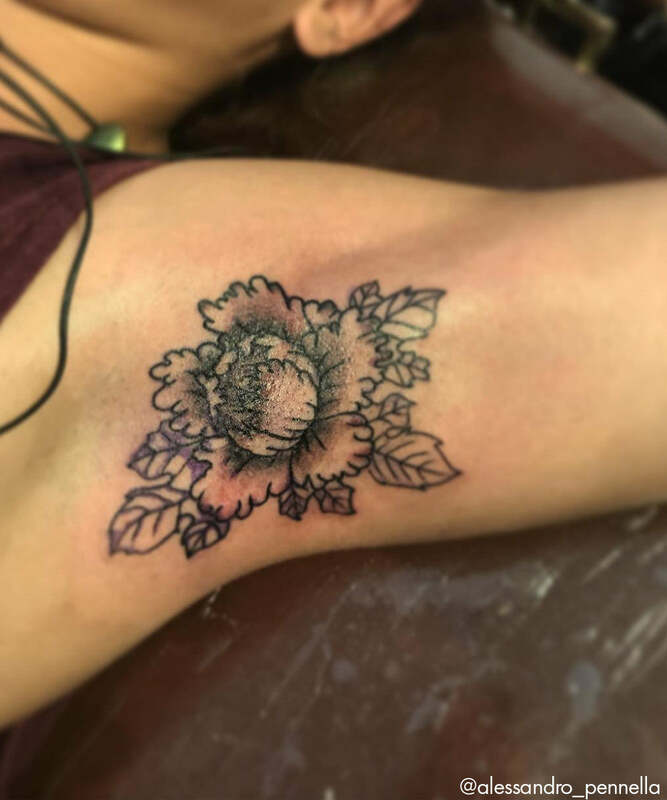 Traditional floral arrangement armpit tattoo. 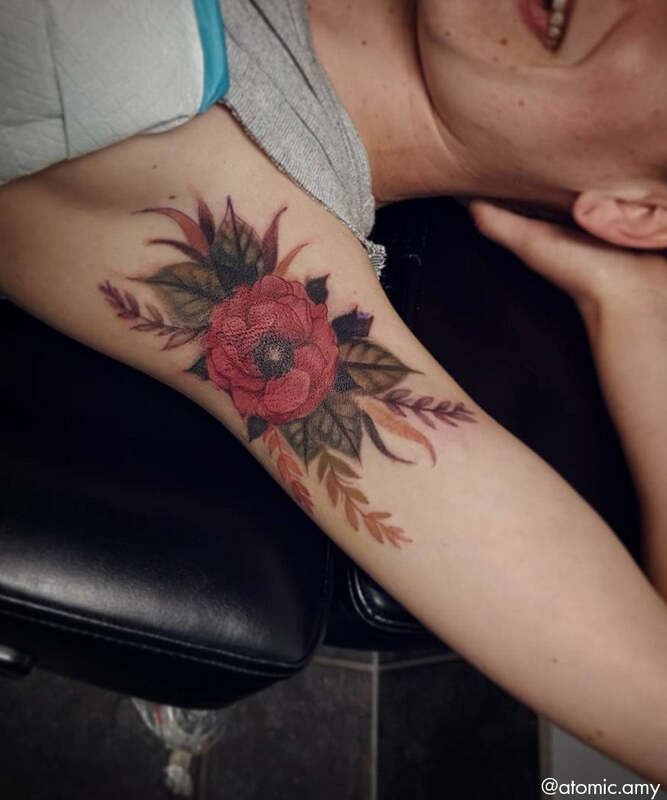 Another colorful flower armpit tattoo. 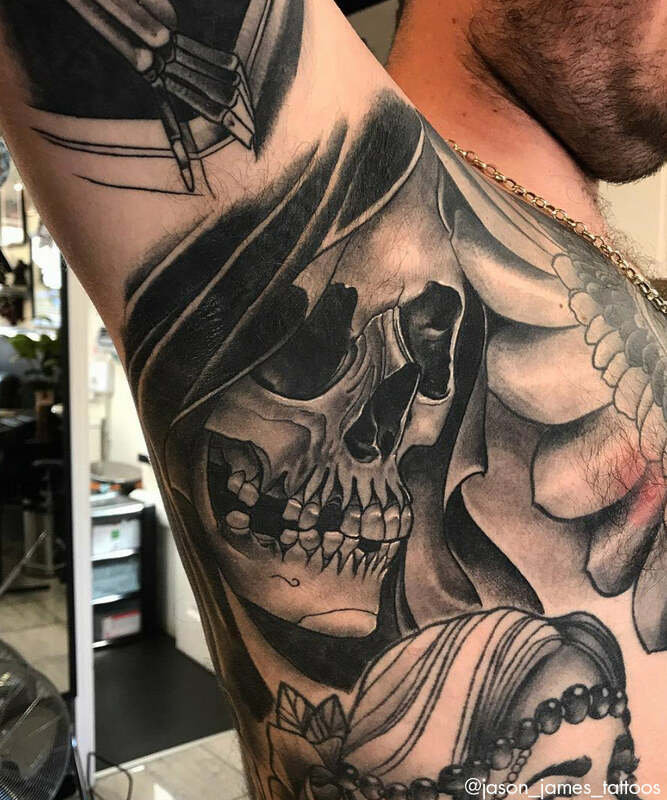 Black & grey Grim Reaper armpit tattoo. 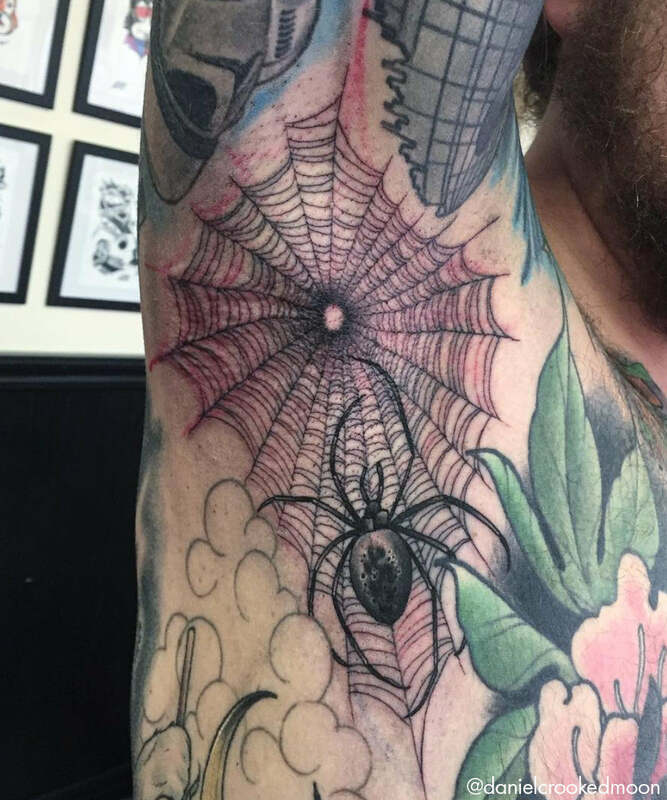 Freehand spiderweb traditional armpit tattoo.